A delegation of Japanese business people came to ZAP in early June from Usami Co., a chain of gas stations throughout Japan. This is a brief 2 min overview of the tour with special clips of the ZAP Alias combined with shots of our CEO showing other vehicles and vehicles that have inspired us to build the Alias… the Volkswagen Bug, the Smart Car, the Sam Cree, the Xebra, the XL Truck, ZAP Shuttle, ZAP Taxi, Zappy3, Zapino, Detroit Electric, Charging Stations, USPS Project, and ZAP Dude. The tour includes our dealer showroom, our production and R&amp;D workshop, and our main warehouse. For the full 30 minute tour, tune into our zapevfilms channel, in a 3-part series that we will be publishing over the next 2 weeks detailing our current development. Thankz for watching! A short history of a pioneering company and the development of the Alias. In order to provide some history of the ZAP Alias entry in the Progressive Insurance Automotive X Prize (PIAXP), one needs to appreciate the origins of ZAP, which is a challenge unto itself since ZAP was founded in 1994, over 15 years ago, making it one of the earliest companies to enter the EV business. So, please be patient, this could take awhile. The Solar Electric Engineering Destiny 2000. ZAP was founded in September 1994 as ZAP Power Systems in Sebastopol, California, a venture started by EV entrepreneur and ZAP PIAXP Team Captain Gary Starr, with his previous experience in electric vehicles, as well as other electric vehicle developers and advocates. Starr had previous experience with electric cars including Solar Electric Engineering and U.S. Electricar, which is currently known as Enova Systems . Starr was involved in more than 600 electric car conversions between 1989 and 1994 from Ford Escorts, GEO Prizms, Chevy S-10s, Toyota Paseos, S-10 Blazer SUVs, Pontiac Fieros and various kit cars, with sales to Hollywood celebrities, government agencies, military bases, the US Post Office, Ford and GM. He left that venture to start ZAP believing there was a growing opportunity in smaller bicycle and scooter EV designs that could be affordable for a greater number of people. ZAP's original electric bike kit. 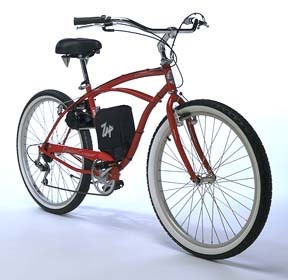 In the summer of 1995, ZAP Power Systems moved into a location in Sebastopol, California to expand manufacturing of electric bicycle systems and integrating them into bicycles built to ZAP’s specifications by various manufacturers. These products included the ZAP DX and SX bicycle kits as well as the ElectriCruizer, Powerbike, Smith & Wesson Patrol Bike, ZAPTRIKE, and others. ZAP began selling electric kits all over the world, including to Thailand. ZAP was one of the first to suggest to China manufacturers that they should move away from gas powered bikes and scooters, successfully selling 500 electric bike kits to the largest and oldest bike manufacturer in China, Forever Bicycle. Although electric bikes at the time were still new, today there are over 100 million on the road in China. This shows what a seed of pioneering technology can help create. The ZAPPY folding electric scooter. After some success with electric bikes, and wanting to expand into larger vehicles, ZAP sought to attract more capital by tapping into the red hot IPO market of the 90s and taking the company public. In 1996 ZAP launched innovative direct initial public offering in which it managed its own IPO without the retention of an investment banker, virtually unheard of in the investment world. Today, ZAP has over 15,000 shareholders (stock symbol ZAAP). This coincided with the release of the innovative ZAPPY® folding electric scooter and thereafter ZAP became internationally known, manufacturing and shipping tens of thousands of electric scooters and bicycles to all corners of the world. It could be said that ZAP almost became a victim of its own success, moving electric vehicles from a cottage industry into a major tech trend. On the verge of the year 2000, ZAP had over 150 employees in Sebastopol with a small factory churning out as many as 100 electric scooters per day with several additional EV designs under active development. ZAP helped fuel a global craze for stand-on scooters, but it was not long before low-priced, off-shore Asian competition started copying ZAP’s patented systems, a painful lesson in highly competitive global marketing that nearly put the company out of business. some high profile knockoffs, the expense of legal fees to assert all its patent protection would have been overwhelming. At the time, ZAP had a ‘Made in the USA’ philosophy to support domestic job creation but quickly faced the reality of global competition and worked to outsource parts production in Asia with final assembly in the USA. Also, the company began further diversification with other vehicle designs, including the sale of over 100 LECTRA motorcycles and other vehicles like go-karts, Powerskis, and over 10,000 Seascooters even electric roller skates. ZAP signed a binding agreement to merge with Global Electric Motorcars (GEM) in 1999 as a way to enter the neighborhood electric car market, but unfortunately the company was out-bid by Chrysler’s $30 million offer. The LECTRA electric motorcycle from ZAP. At the time, ZAP was widely regarded for its quality scooters, but when faced with two similar choices, consumers and especially chain stores demonstrated that price trumps quality. Sales plummeted and layoffs followed. By 2002, ZAP was turned upside down, helped in part by falling share prices, differences in management, the Dot Com crash and even 9/11. Over the next year ZAP voluntarily sought protection under Chapter 11 Reorganization, entering February and emerging with the backing of stakeholders in May 2002. Although most reorganizations leave the old shareholders with no equity position, ZAP’s plan was one of the few that gave all old shareholders a stake as well as stock options in the reorganized ZAP. ZAP’s plan of reorganization coincidentally enough was to get back into electric cars through new leadership and investment from current CEO Steve Schneider who had been looking to enter the electric car market with his own company Voltage Vehicles in nearby Santa Rosa. relationship with a new company in Brazil, Obvio ! Automotoveiculos S.A., to build two new alternative fuel vehicles, although that fell through when Obvio was never able to produce the vehicles. ZAP even created its own hydrogen hybrid WORLDCAR in 2004 in partnership with Anuvu Fuel Cells because of the popularity of hydrogen fuel cell technology at the time, a vehicle that is sitting in its Santa Rosa Headquarters. 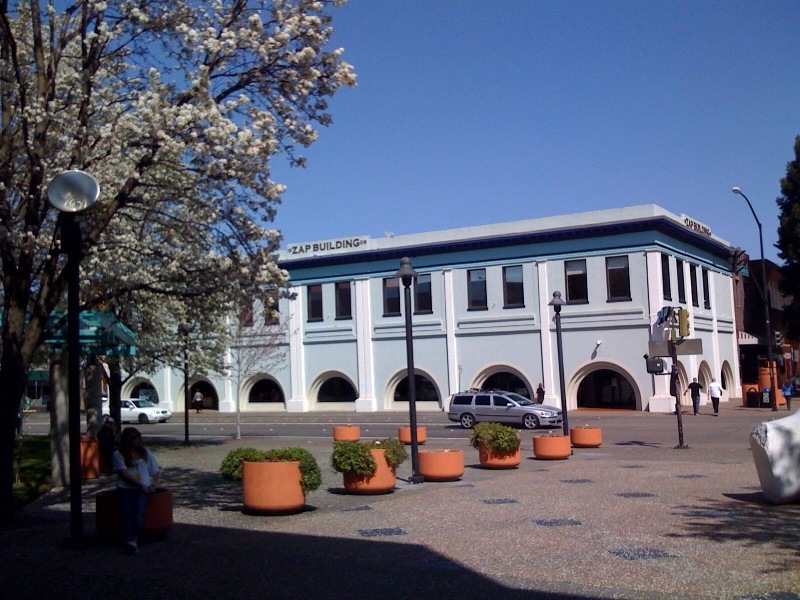 During that time ZAP moved its headquarters from Sebastopol to its current location in downtown Santa Rosa where it houses a corporate showroom to display its complete product line. Through its merger with Voltage Vehicles, ZAP became the owner of an auto dealership nearby in Santa Rosa. ZAP also leased facilities in the nearby warehouse district of Railroad Square for final assembly, storage and service for its electric vehicles, as well as a location for research and development on future vehicle projects. 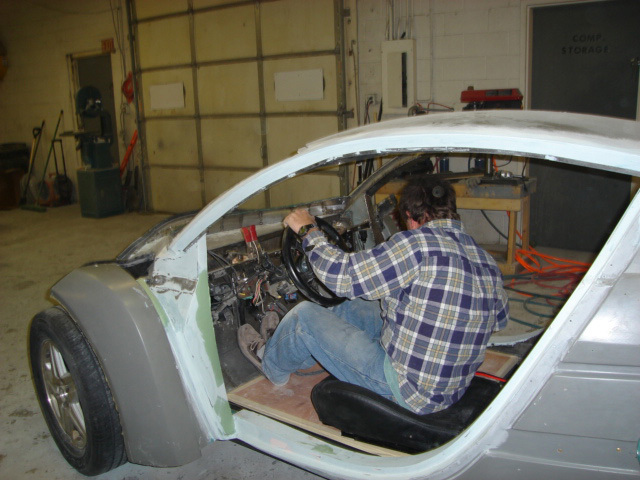 ZAP’s most ambitious attempt to distribute energy efficient cars was through its pioneering work with the first micro car to sell in the USA, the Smart Car. ZAP funded all of the original engineering, crash tests and emission tests to bring the first vehicles from Europe to the USA. Smart had test marketed the cars in the USA, but pulled the plug saying there was no market as Americans appeared to prefer big cars. ZAP believed differently and the first Smart Car sold legally in the USA was delivered by ZAP to a customer in Nevada on May 17, 2005. ZAP created a cross country tour and created one of the very first internet registration systems for cars. ZAP sold over 300 units, and received orders for thousands more, before Daimler/Chrysler suddenly decided to change their plans and market the vehicle directly. But ZAP fought on, continually finding a persistent demand for even more fuel efficient cars, especially electrics. ZAP imported the first smart car fortwo coupe into the US in 2005. Another approach where ZAP had some success was started in the 90s: (1) designing electric vehicles in the USA and contracting factories in China to build its vehicles, and (2) designing electric versions of Asian-made gas model scooters, motorcycles, dirt bikes and ATVs. This resulted in the ability to market EV designs like the Sea-Doo Seascooter for diving, the Zappy3 scooter/personal transporter, and the Zapino moped-class scooter. It was this idea that eventually led ZAP to start work on the Xebra sedan and truck in 2005, which is where the story of the Alias begins to unfold. One of the primary inspirations for the ZAP’s three wheeled approach was the Corbin Sparrow, which sold well during the late 90s, but the company closed shop as it could not create enough demand to lower parts and production costs. The vehicle worked like a car, but because of the three-wheel design it was classified as a motorcycle, making it less costly to bring to market. ZAP also noted the strong following by its owners and the low price tag, and ended up buying, selling, and refurbishing many of them before attempting to acquire the remnants of the company. The molds of the Corbin Sparrow were eventually sold off to a group in the mid-west, ending up as Myers Motors in Ohio. Another inspiring car sits in ZAP’s showroom in downtown Santa Rosa. The Sam Cree was a connection with some of the first designers of the Smart Car, a group of former Swatch engineers in Switzerland who had developed the Sam Cree/Swatchmobile three wheeled electric car, and thereafter partnered with Mercedes and became a four wheeled gas car. A remnant of that company who had been trying to get this vehicle back on the road in its original three-wheeled electric form contacted ZAP in 2004 when it heard about efforts to sell the Smart Car, and ZAP acquired one of the original models. There are reports that the vehicle is currently available through a new Polish company. ZAP believed the underlying drawback of both the Sparrow and the Sam Cree designs was limited passenger capacity, but ZAP noticed that three-wheeled sedans and trucks were common in Asia. If lower speed versions were sold in the United States at affordable prices, ZAP believed they would be well received in an era of record gas prices. Although, most Chinese thought that the idea of an electric car made no business sense, ZAP was eventually able to negotiate a manufacturing agreement with a small automaker in China that made three wheel gas taxi sedans and utility trucks, and worked with ZAP to create one of the first low cost electric vehicles. The electric Xebra sedan can carry four passengers and is one of the only electric vehicles you could buy able to go faster than 25 mph. 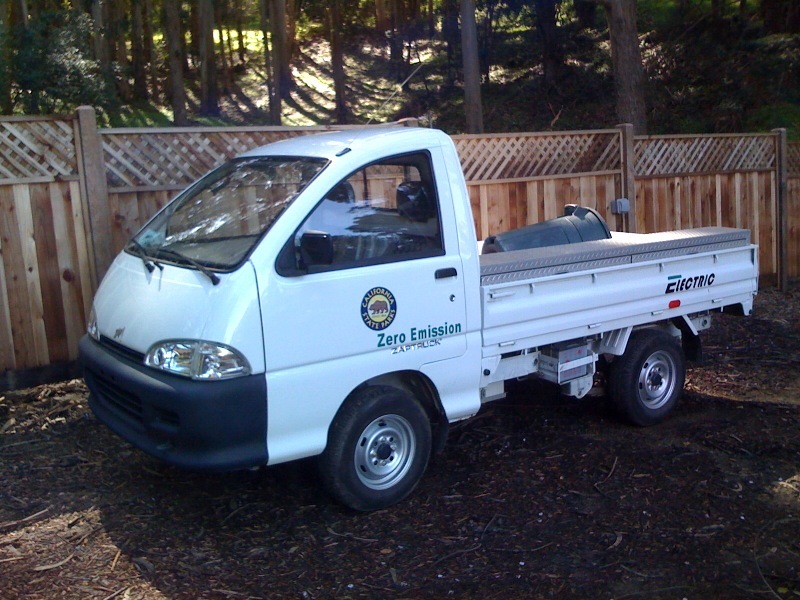 Later, ZAP created a Xebra truck, a popular choice with commercial users. As the only vehicle in its class they sold well until gas prices fell and the recession started in 2008, with the market for consumer based electric cars dropping all across the board forcing many electric car makers to cut back or cease production altogether. Also billions in stimulus money was loaned and granted to the large auto companies to create new full size electric consumer cars, as well as specialty electric and electric/hybrid sports cars, which affected the consumer market. A ZAP XL electric truck at Angel Island State Park. This forced ZAP to modify its strategy again in 2009. Although nearly 1,000 Xebras were sold in three years, ZAP believed a larger market opportunity was emerging to serve government and corporate fleets. ZAP today is a leader in providing low cost electric trucks and vans to government and private fleets. In 2010, ZAP was one of a handful of companies in the country selected to retrofit a USPS long life delivery vehicle. ZAP is also working to develop an electric SUV that will serve specialized high profile fleet markets through a new joint venture with Holley Metering, the world’s leading producer of power meters in China, as well as distribution through its partner Samyang Optics in Korea. Today, ZAP has developed, designed, manufactured and sold over 117,000 electric vehicles to over 72 countries, making it not only one of the earliest pioneers in the EV industry, but one of the few that actually delivers EV vehicles for street use. Currently our larger ZAP XL LSV/NEV electric truck and Shuttle van have been popular with government and corporate fleet customers. 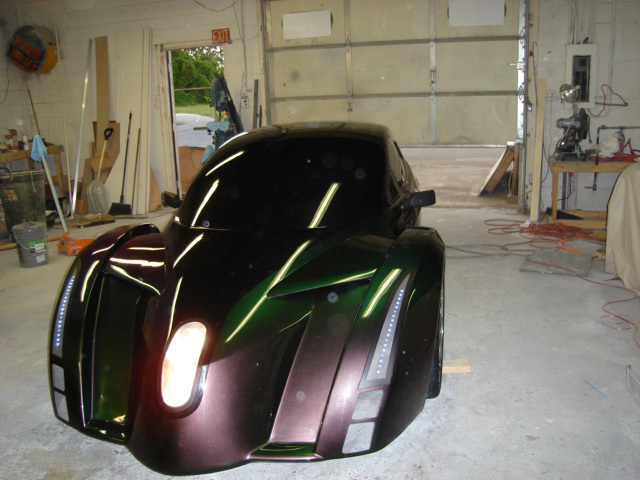 ZAP Alias electric car under development from 2009 Ohio build. ZAP believes its current strategic direction will allow it to continue to explore the consumer electric car market with a vehicle that is a sensible blend of price, performance, and efficiency. The idea had been forming in 2006 when ZAP retained a respected European automotive engineering firm to conduct a feasibility study to develop an exciting, state-of-the-art electric vehicle design. 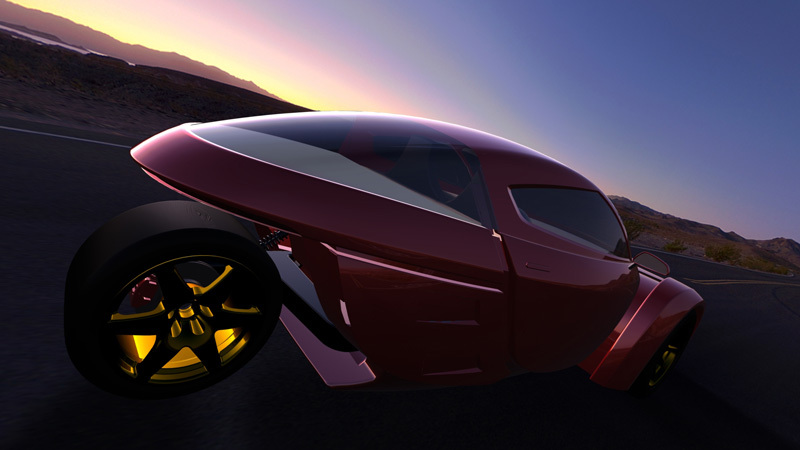 The initial design was unveiled at NADA 2007, an electric crossover SUV called the ZAP-X that held massive appeal, but required significant capital in order to bring it to market. ZAP may reconsider a four-wheel SUV design for consumers, but in the meantime the company has shifted its focus and attention on a vehicle that builds on the success of ZAP’s three-wheeled electric vehicle designs: The Alias. The meltdown of the auto industry has shown that the old way of making cars doesn’t work anymore and the industry needs a paradigm shift. Individual mechanics can work miracles in their private garages, but major corporations indicate they cannot be profitable making innovative designs — the basis of why something has to change. ZAP believes building a car from the ground up does not have to be prohibitively expensive and has put that idea to the test. The first styling prototype of the ZAP Alias electric car. e pigment that brought the design to life. Additional prototypes were built over the next two years and ZAP moved the team to California in late 2009 to advance and accelerate the design, help ZAP with the PIAXP and work on other projects. The bottom line is that the Alias was brought to its current state of development with several drivable prototypes for approximately 20 percent of what it would have cost prestigious engineering firms to create just one vehicle. ZAP believed this was crucial to ensuring an affordable design for the future. The timing with the Progressive Insurance Automotive X Prize could not a better opportunity for ZAP and its plans with the Alias. Meeting competition criteria for the PIAXP and following their guidelines and advice is an asset that far exceeds the investment in the competition. Things like design, safety, production, marketability, performance — many of the things the traditional auto industry look at when bringing a vehicle to market. The 100+ MPGe is an added challenge that makes the PIAXP a unique opportunity for the history of the auto industry. The ZAP Alias made its first public demonstration at the Korea EV Challenge in March. The Alias was designed to give drivers what they were promised years ago: a futuristic looking vehicle that is fun, zero-emission, comfortable, yet affordable. The Progressive Insurance Automotive X Prize has brought more attention to the vehicle, and we feel the competition has helped us move the vehicle closer to commercialization. The mood at ZAP is calm and professional, but underneath the surface you can sense a fierce competitive desire to perform well in the PIAXP, bring the Alias to market, and continue the lead the charge towards cleaner transportation. Our team is comprised of individuals from India, China, Sri Lanka, France, California and Detroit. Our members have worked on race cars, rockets, and roller coasters. The Alias design has already received global praise. Today ZAP is working with several partners around the world, creating localized jobs, and utilizing global engineering to advance the Alias and its other vehicles. This is by no means a complete history of ZAP, but comments and questions are welcome. Thank you for reading and for your interest in energy efficient transportation, a pastime that many of us at ZAP have made our life’s work. ZAP was founded in 1994 to create an automotive company that stands for the environment and for the future. In an era when government and industry are debating how to solve our growing transportation problems, ZAP has been a pioneer in providing cost effective advanced transportation solutions and helping to create a paradigm shift in transportation. Indeed, ZAP has designed, manufactured and shipped over 117,000 electric vehicles, ranging from electric bikes to electric scooters, ATVs, cars, vans and truc ks, to over 75 countries. ZAP is a business opportunity at a pivotal moment in history when average people around the world are coming to grips with pollution, rising fuel prices, traffic congestion, parking shortages, noise pollution, endangered habitats and species—the list goes on. The technology is available and the timing is right for a small group of entrepreneurs to save the world that we all love, for our children, grandchildren and beyond. ZAP stands for Zero Air Pollution®. Indeed, this ubiquitous word ‘zap,’ because of its active, succinct nature, has been a cultural icon since beyond reckoning, but we believe that now ‘zap’ has finally found a new positive meaning. In fact the word ‘zap’ has been defined as a small electrical charge. As a pioneer in electric vehicles, ZAP vehicles have become synonymous with electric vehicles. People often call electric bikes ZAP Bikes, or electric scooters a ZAPPY®. While, Zero Air Pollution in transportation is arguably impossible with conservation of energy and perpetual motion, we believe that Zero Air Pollution is an ideal that can inspire us to innovation. ZAP’s vehicle have been among the first that have included solar charge panels, and ZAP customers have installed larger solar arrays on their homes to create essentially ‘Zero Air Pollution’ vehicles. ZAP bicycles have been used in law enforcement. ZAP is not just good for the planet, it’s fun! When people use an electric vehicle, there is a distinct combination of motion and emotion that brings a smile to the face of everyone who experiences it for the first time and will keep them wanting more. There is also a sense of fun because the act of ‘zapping’ does not have all the negative associations that it has with other forms of transportation. With electric vehicles people can save money, feel safer, know they are not polluting as much nor making as much noise, while they are enjoying themselves. With ZAP, people can have fun without making a great deal of sacrifice or feeling guilty about doing it. ZAP is a new way of thinking that is beginning to spread, even though some may not even have a name for it or even realize it. Indeed, our competitors have told us that shoppers come to them looking for “those new ZAP vehicles.” ZAP is a lifestyle with many intrinsic benefits, not the least of which is a feeling of doing the right thing, almost a psychological state of mind that fills people with a confidence and passion for change. It is amazing to see the process at work when you watch people literally get “ZAPPED;” when people get back from a demo, or maybe see or learn about alternative transportation for the first time; you can almost see a light bulb go on above their head and they start to see that their daily transportation and recreation can not only be fun and cool, but good for the community and indeed the planet! Like the emerging market for advanced automotive technologies, ZAP is constantly redefining itself from the small garage company of 15 years ago on its way to becoming a force in global transportation. We believe the ideal of Zero Air Pollution is better described as the journey rather than the destination. At ZAP we consider Zero Air Pollution as our ideal and we are targeting that niche in the auto industry that can move people towards and attract people who share this vision of the future. Today, many new and large players are entering the electric vehicle industry. ZAP has looked closely at these new emerging players and has retained its market position as the leader of cost effective EVs. ZAP is leading the world in low cost electric vehicles for the fleet marketplace and with its entry the Alias as a low cost consumer based vehicle, with pioneering design, engineering and components. Along with its new partner, Holley Metering, ZAP is working on new vehicles and charge systems that have the goal to make driving and using an electric vehicle as easy as charging a cell phone. Join us.